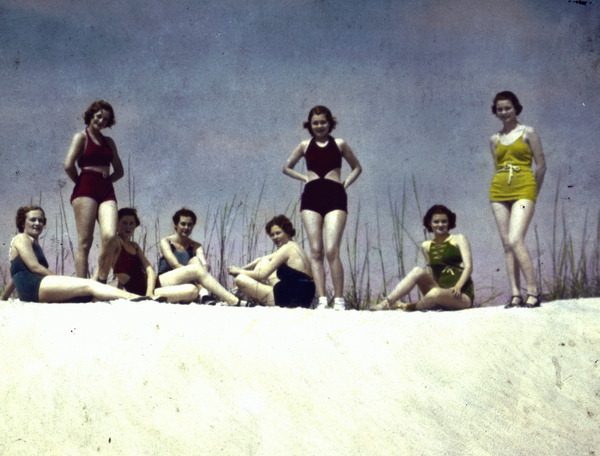 Titled “Young women posing in swimsuits on sand dune,” this image comes courtesy of the State Archives of Florida. 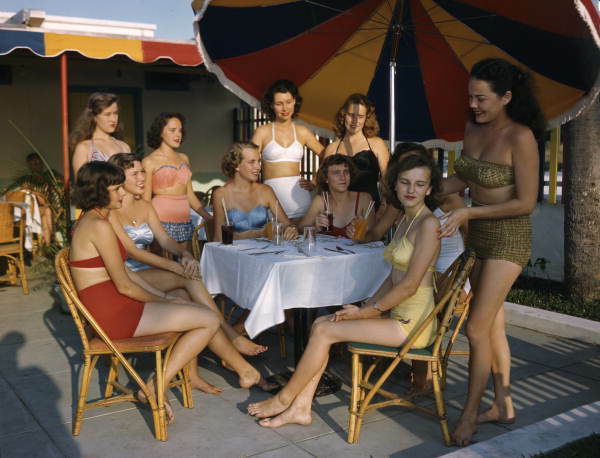 The photographer and date are unknown, though it’s probably somewhere in the late 1940s or early 1950s. 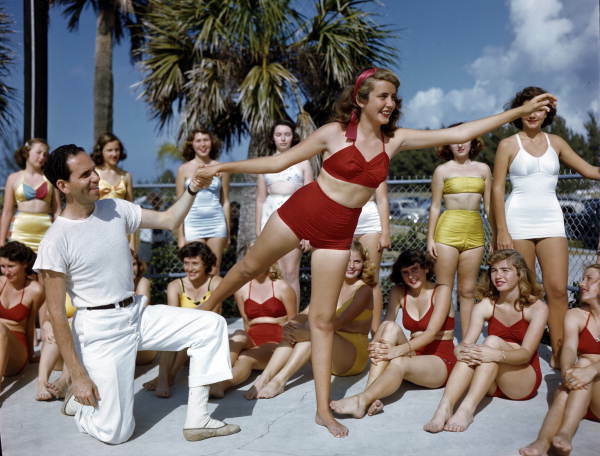 The Sun-Debs were instructed by ballet dancers and other performers, and were “taught to sit gracefully” during their training sessions at Lido Beach. 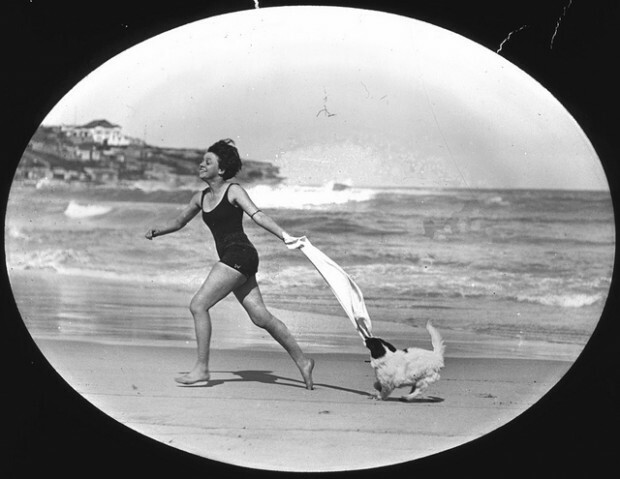 These three images are all courtesy of the Florida State Archive, Florida Memory. He was a prospector and a self-taught pilot; photography was a side-project for Gorst. 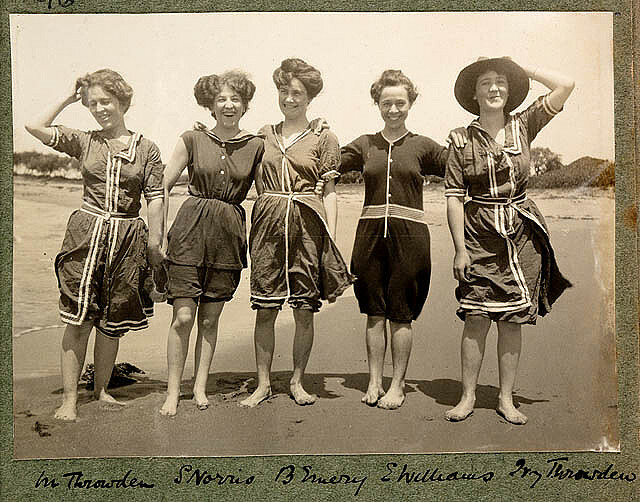 The State Library of Newbrunswick provides this photo, “Women in bathing suits on Collaroy Beach, 1908,” which has been repurposed many times. The women were photographed by Colin Caird. “French children playing with a British soldier on a beach, France, during World War I. 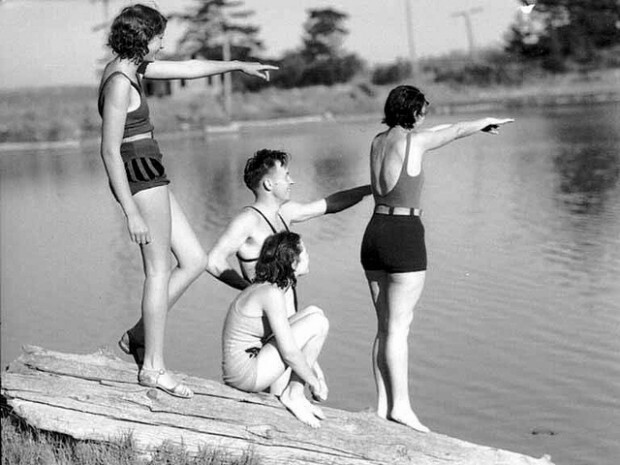 Dressed in the long and stripy swimsuits that were traditional in this era, these French children are enjoying playing in the water with a British soldier. 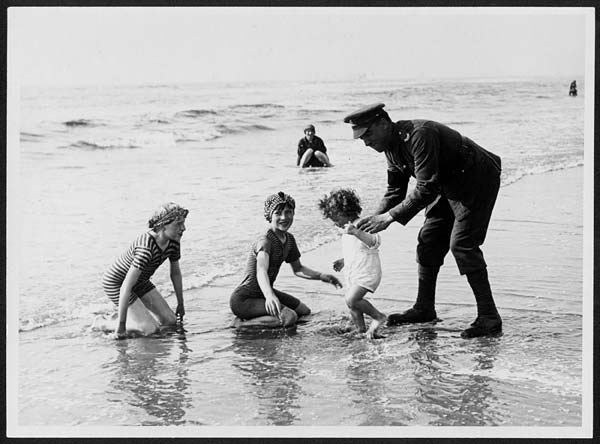 After taking part in fighting at the front line, this peaceful experience of playing around with children on a beach at a French resort, may have been a rather strange feeling for the soldier involved. 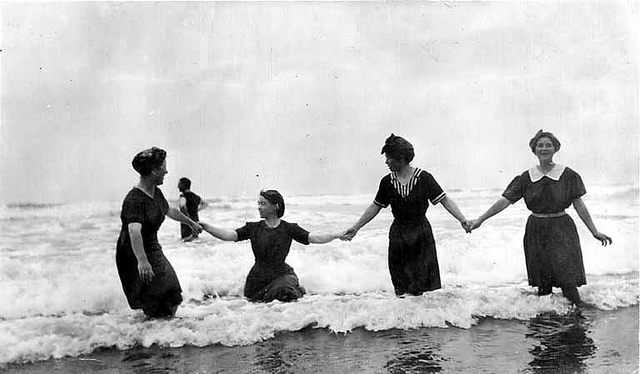 Another addition from the University of Washington, this photo is called “Women in bathing costumes in Pacific Ocean at Moclips, August 23, 1913.” It’s noted that the women may have been mountaineers, taking a dip after a long climb. The photographer is unknown. 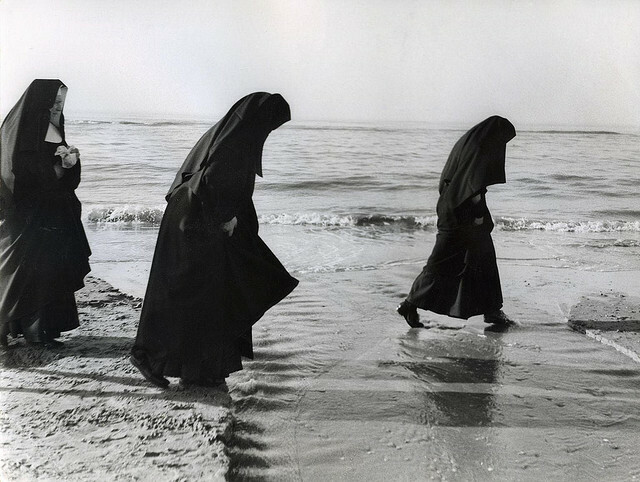 Even nuns enjoy the shore, it seems. 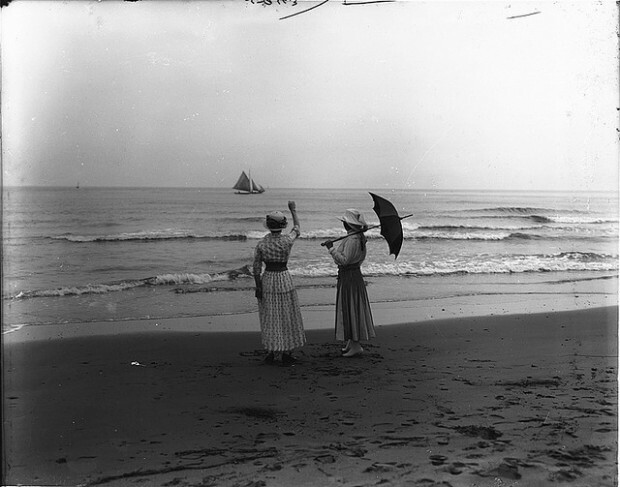 “Wading nuns on the beach near Zandvoort, Holland,” comes from the National Archive of the Netherlands, who know neither the date, nor the photographer of this photo.